Home Health Medicare News: On Tuesday night, the Senate passed legislation that would completely scrap the physician payment formula for how Medicare reimburses doctors. The Sustainable Growth Rate (SGR) was a controversial topic within many sectors of the health industry and many are applauding the decision to replace it. In a rare bipartisan agreement, the Senate decided against the inevitable 21% Medicare pay cut for physicians just hours before it was set to go into effect. 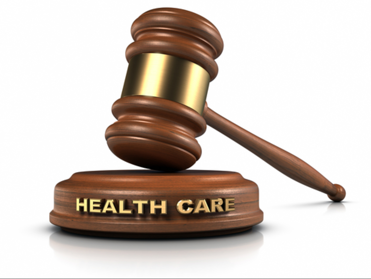 The original bill intended to replace the current reimbursement schedule with payment increases for providers over the next five years with incentive programs aimed to focus on “quality, value, and accountability”. However, many saw the sudden pay cuts as highly detrimental to the healthcare system. The Senate voted 92 to 8 to approve the legislation, which was then approved by the House thereafter. Steve Berger, CEO of Partnership for Quality Health Care stated, “While we are thankful for the bipartisan solution to permanently repeal SGR that includes the Medicare home health rural safeguard, we are disappointed in the restricted market basket rate for home healthcare” and also added, “To protect homebound seniors from any further threats, we encourage Congress to secure savings through value-based purchasing programs that promote coordinated, patient centered care over across-the-board cuts”. The bill also includes additional funding for the Children’s Health Insurance Program (CHIP), however, many lawmakers are unhappy with the provision and have stated concerns regarding the funding of such additions. Some consumer and aging organizations expressed concerns that healthcare costs for beneficiaries will increase in order to finance Medicare’s reimbursement strategies. However, lawmakers stated that a great deal of attention was paid to the balancing of premiums and reimbursements. “I think tonight is a milestone for the Medicare program, a lifeline for millions of older people. That’s because tonight the Senate is voting to retire the outdated, inefficiency rewarding, common sense-defying Medicare reimbursement system.” said Sen. Ron Wyden, D-Ore.